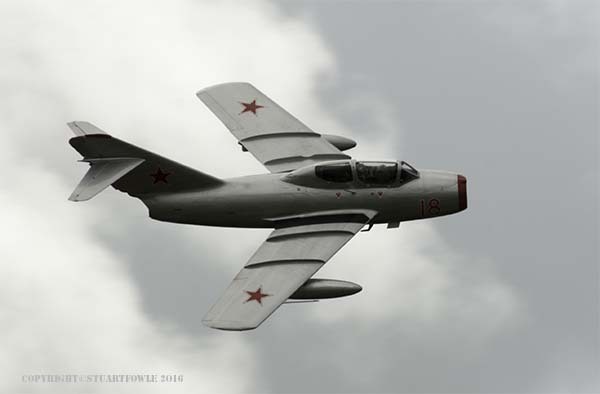 The reason for this site is to build up information pertaining to aircraft from the Cold War. 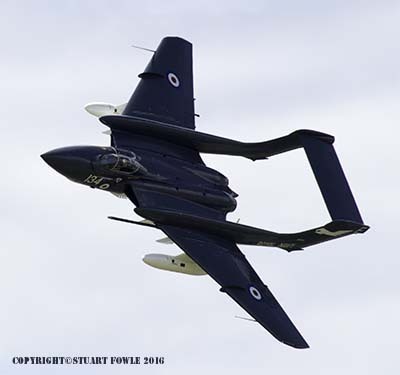 The site is continuously being added to and updated with information, images, reviews all relating to aircraft from the Cold War period. I’m always looking for new content for the site, either information that I have collected myself, or from contributions from other aircraft fans, historians or pilots who flew these amazing machines. I can’t pay for any articles, but I will certainly fully credit any article to the supplier. If you are interested, please email me via the Contact page. I would also like to hear from restoration and preservation groups that are working on Cold War era aircraft. You can see examples of how this would work by visiting the Restoration page. It is actually Restoration and Preservation. It was a period of great leaps in aircraft technology and ideas. At the start, jet fighters were similar to their WW2 counterparts, machine gun and cannon armed with a single or possible dual purpose. By the end, aircraft were expected to be able to carry out multiple mission roles, fighter, bomber, reconnaissance etc. Although there would always be expectations to this, such as the US A10 Warthog and the Soviet SU25 Frogfoot. It was also a period where the Helicopter came into its own and developed from lightweight observation platforms, to heavily armed and armoured troop carriers that could and do dominate the airspace over a battle field. The Cold War was a period between 1946 to 1991 of tension, and at times near conflict between the ‘Free’ West and the ‘Communist’ East. It was a period when the world lived under a very real constant threat of nuclear annihilation by the opposing ideologies, and only came to an end when the Soviet Union was pressured from within by its citizens and by the crippling costs of maintaining the arms race. Although NATO and the Warsaw Pact never met in open warfare, other countries around the world, were unfortunately for them, pawns for the two clashing ideologies. Korea, Vietnam, The Far East, The Middle East and many African Countries, all suffered, and continue to do so, as battle fields between the ‘West’ and ‘East’. Testing grounds for the weapon makers and the strategy and tactics of the opposing military systems. The only winners in the Cold War, were the weapons manufactures. Stuart Fowle is a participant in the Amazon EU Associates Programme, an affiliate advertising programme designed to provide a means for sites to earn advertising fees by advertising and linking to Amazon.co.uk. All images are Copyright © of Stuart Fowle, unless otherwise stated.